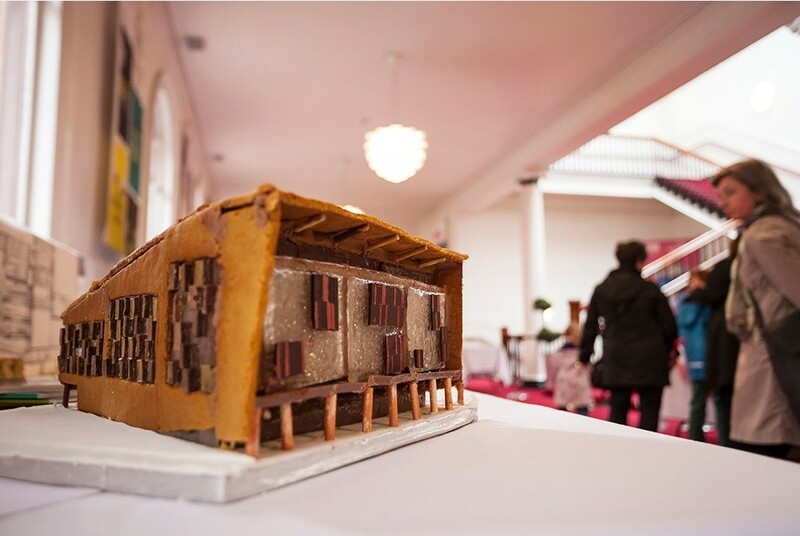 Page\Park Architects have emerged victorious in an Edible Architecture event for Glasgow’s Merchant City Festival, after baking up a sponge and icing treat modelled on their recently completed Theatre Royal extension. 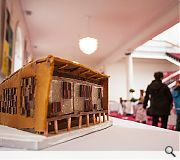 The event was hosted by the GIA as a means of engaging with the public on architecture and design issues by inviting Merchant City based practices to recreate one of their own buildings using edible materials. 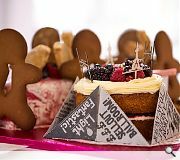 BDP scooped second place in the contest with a tasty recreation of their TIC Building whilst Pidgin perfect came in third with their Barras Banchetto. An honourable nod went to ICA Architects and their Merchant Studios delicacy which earned a people’s choice award. 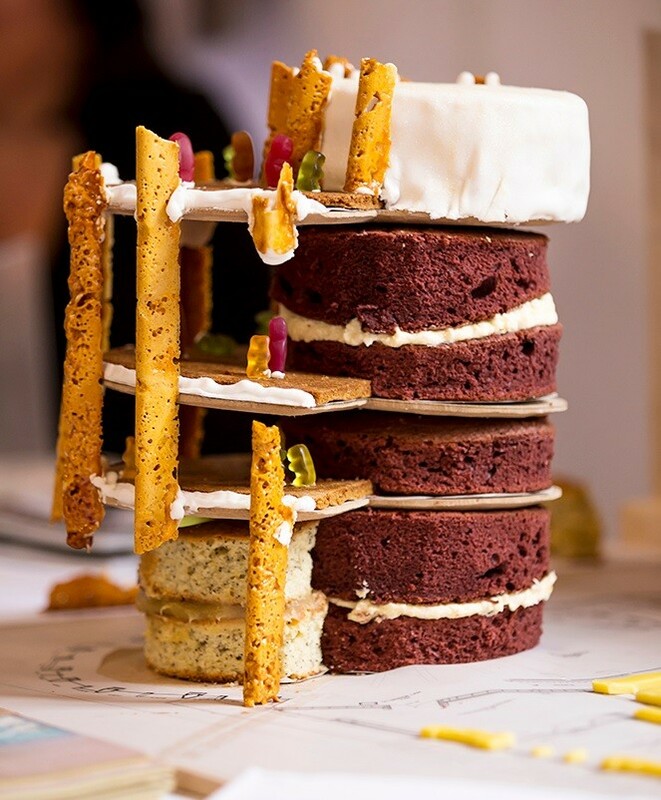 Collective Architecture’s Michael Dougall, who also heads up Edible Architecture, said: “The creativity and attention to detail by every participant made the event a huge success. The GIA were pleased to be asked by the organisers of the Merchant City Festival to host an event with an architecture and design focus. Other participants in the competition were Collective Architecture with Woodside Tower; Dress For The Weather with Holmwood House; haa design with the Gallery of Modern Art; JM Architects: Seona Reid Building; John Gilbert Architects: Cultybraggan Hut One; NORD / NVA: Kimahew / St Peters Seminary; PMD / DRS Glasgow City Council: Glendale Primary Medium School and Strathclyde University: The Architecture Building. 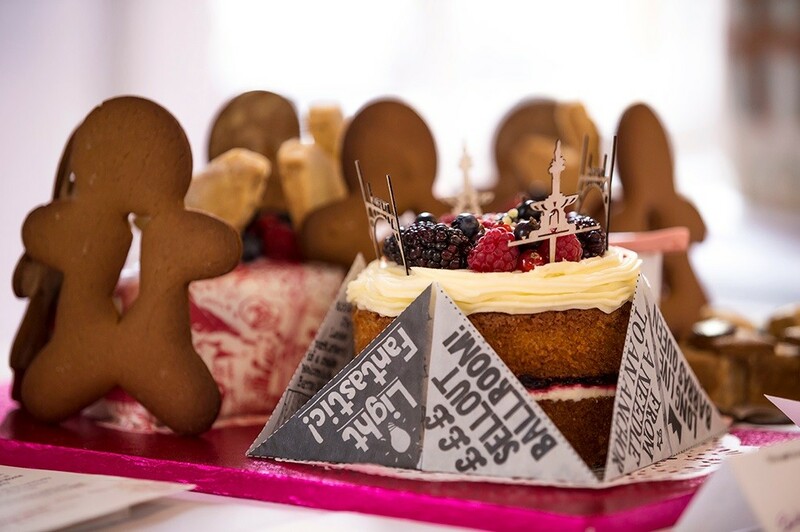 Honestly my favorite would be the white GoMA cake with massive cone and wee red tour bus. 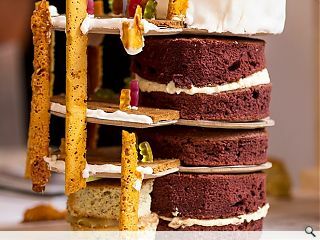 Looks like the judges prefer something half done.. or the plywood base make the flavour more exotic..
"There are only four kinds of artistic activity: fine art, music, poetry, and ornamental pastry cooking, of which architecture is a minor branch"